"To my American ear, narrators and characters in these stories seemed to enjoy expressing themselves, seemed to like the feel of words in their virtual mouths, seemed to think that important life was largely lived in language-in what we say to each other, about each other, remember of each other, in how we love, detest, ignore, demean and relish." Richard Ford was born in Jackson, Mississippi, in 1944. He is the author of nine volumes of fiction, including three books of stories and six novels. He is the editor of The Granta Book of the American Short Story Volumes I and II, and is a frequent contributor of The New Yorker magazine. He has won the PEN-Malamud Prize for distinguished contributions to the short story. His trilogy of novels, The Sportswriter, Independence Day and The Lay of the Land are published by Bloomsbury. Claire Keegan was raised on a farm in Wicklow. The stories from her collections, Antarctica and Walk The Blue Fields (Faber & Faber) have won several awards including The William Trevor Prize, The Edge Hill Prize, The Tom Gallon Award, The Olive Cook Award, The Rooney Prize for Irish Literature, The Hugh Leonard Bursary, the Macaulay Fellowship and The Francis MacManus Award. She also teaches creative writing. A member of Aosdana, she lives in rural Ireland. Mary Leland is a Cork-born journalist. She has published two novels The Killeen (1985) and Approaching Priests (1991) and a book of short stories, The Little Galloway Girls (1986/87). Other short stories have appeared in several Irish and UK anthologies and she has also published The Lie of the Land: Journeys through Literary Cork (1999), That Endless Adventure: a History of the Cork Harbour Commissioners (2001) and Dwyers of Cork: A Family Business and a Business Family (2008). Molly McCloskey is the author of two collections of short stories (Solomon’s Seal and The Beautiful Changes) a novel (Protection) and, most recently, a memoir (Circles Around the Sun). She has won several awards for her short stories, including the RTE Francis MacManus Award. She was born in Philadelphia in 1964 and came to Ireland in 1989, where she has lived ever since. Eoin McNamee was born in Kilkeel, County Down, in 1961. His first book, the novella The Last of Deeds, was shortlisted for the Irish Times Literature Prize. His novels include Resurrection Man (1996), The Blue Tango (2001), The Ultras (2004) and 12:23 (2007). Other publications include The Language of Birds (poetry), two screenplays – Resurrection Man (1998) and I Want You (1998) – and four books for children. He also writes under the name John Creed. He lives in County Sligo. Kathleen Murray is from Carlow. She lives in Dublin where she works as a researcher. Her stories have appeared in the anthologies The Incredible Hides in Every House and These Are Our Lives, and in The Stinging Fly. She was the winner of the Fish Short Story Prize 2006/07 and is working on her first collection of short stories. Susan Stairs lives in Dublin and has recently completed an MA in Creative Writing at UCD. She is a graduate of NCAD and has written extensively about Irish art, her most notable publications being Markey Robinson-A Life; The Irish Figurists; and Drawing from Memory, a biography of the Belfast artist Gladys Maccabe M.B.E. Her work has been broadcast on Sunday Miscellany on RTE Radio 1 and her short story ‘Leaving Traces’ features in the recent publication A Curious Impulse, New Writing from the MA in Creative Writing UCD 2009. She is currently working on a novel, and also writing some new short stories. 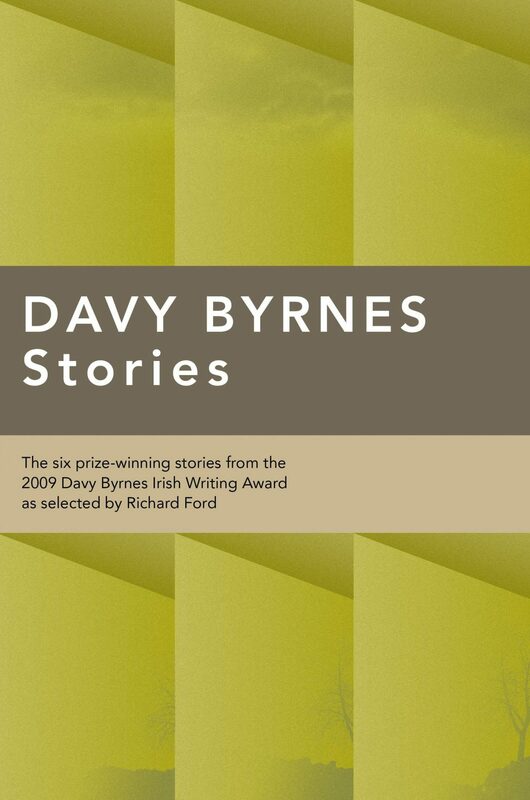 The Davy Byrnes Short Story Award has been held in 2004, 2009 and 2014. The 2004 competition was judged by Tobias Wolff, AL Kennedy and Caroline Walsh, the late literary editor of the Irish Times. The 2004 award was won by Anne Enright. The 2009 competition was judged by Richard Ford and was won by Claire Keegan, whose story ‘Foster’ was subsequently published in The New Yorker and in book form by Faber and Faber. The 2014 competition was judged by Anne Enright and was won by Sara Baume with her story ‘Soulsearcher1’. Collections of the prize-winning stories from 2009 and 2014 have been published by The Stinging Fly Press and received warm praise from critics. "'Foster' is a perfectly achieved, aesthetically satisfying story that pays to be read with the same kind of painstaking attention to detail that the writer surely afforded it. The collection is worth investing in for this story alone... The power of suggestion propels several of the other stories in this collection as they evoke a larger tale than the one being recounted."